BeerStix Tank Staves are basically oversized Carboy Stix that are designed to treat larger volumes of beer stored in tanks. These are TSS-60 Tank Staves, which are sized for 60 gal batches of beer. 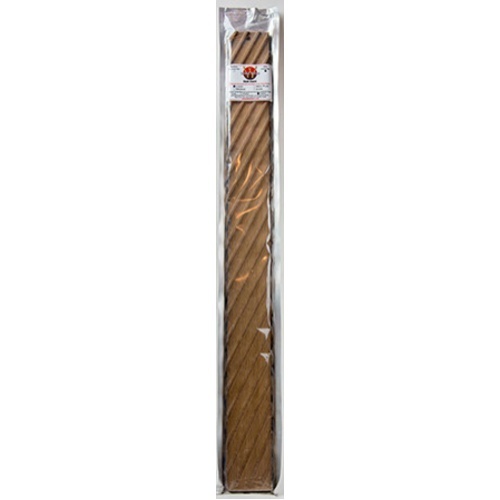 Thanks to careful selection of oak, followed by precise aging and seasoning, and exact toasting, these Staves will provide a round and rich oak character specific to the toast level and origin. French Oak toasted to a Medium + with the beerstix milling will give your beer toasted roasty aromas reminiscent of coffee, along with some caramel, and a subtle sweetness that gets the whole palate. Different beer styles will accentuate or mask different flavors from the oak, so expect some variation! The Beerstix miling gives 60% more surface area compared to the Winestix, speeding up the extraction process, and getting you a beer that has a rich oak character, in less time. The Beer Stix are also milled thinner than the WineStix, allowing for denser toasting.